Uh dude, chorizo isn't vegan. It isn't even close. Well, that's the challenge. Could we turn plants into a similar flavor? I think so! 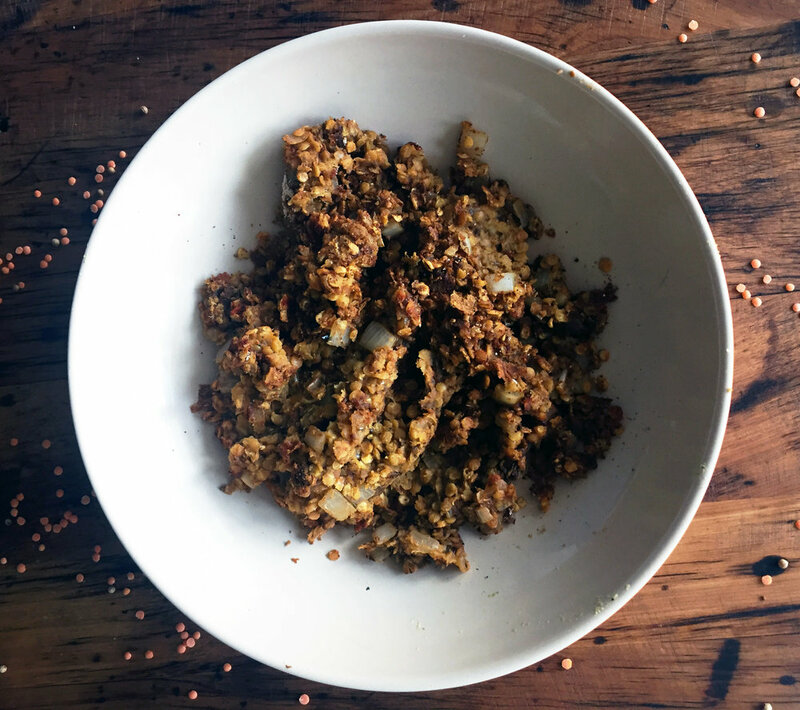 We turned lentils into chorizo by adding delicious spices, cooking the lentils twice, and putting into delicious recipes of tacos, nachos, and more! People sometimes wonder - why make lentils into chorizo? We aren't. The point of my blog is to create amazing foods that make you enjoy dishes you know. Not every vegan wants a salad just like not every meat eater knows that they can turn plants into delicious foods. I think that both groups can benefit! Vegans can continue to expand while meat-eaters have options to recreate some foods they remember and not feel boxed in. Creating plant-based food is a revolution and let's be a part of it. To make this, we are cooking to use red lentils both for color and consistency. The consistency becomes somewhat mushy similar to ground sausage and the color is similar. The flavor is light as well and soaks up spices better. Boil lentils, add spices, and pan fry. Easy as that, and you have chorizo. I'll show you what we can do with this chorizo in my next post where we make arepas. 1. Dice your onions into bite size chunks. 2. Place lentils in a pan with 2 cups of vegetable broth or water. Bring to a boil, reduce heat to low and cook for 10-15 minutes until liquid is absorbed. 3. Add cumin seed and coriander seed to small pan. Place over medium heat and cook for 8-10 minutes, stirring every so often. 4. While lentils and onions cook, add onions to a pan with olive oil and fry for 6-8 minutes. After that add rest of spices outside dry roasted. 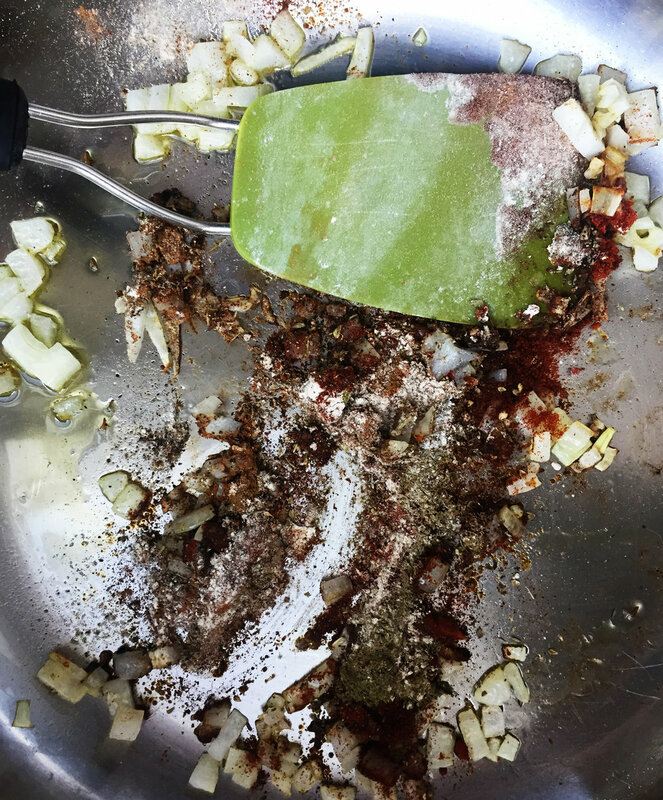 Once the coriander and cumin seeds are done, crush with mortar + pestle or in a blender. Add to onions. Cook for 4-5 minutes on medium-low heat. 5. Add lentils to the pan and continue to cook for another few minutes over medium heat. 6. Lentils are done! Use them in salad, tacos, sandwich, whatever. Enjoy!